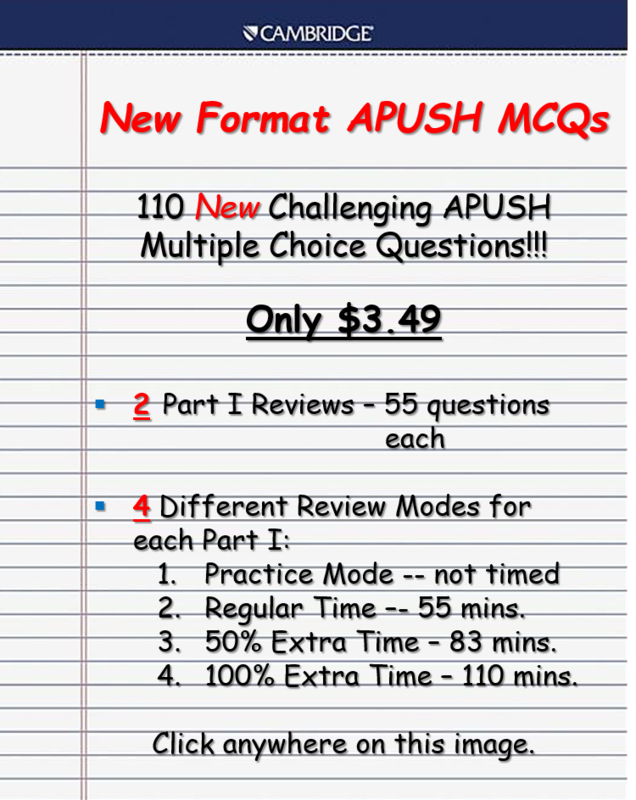 Get started on that final review for APUSH! Try these new multiple choice questions created by me below in the new 2015 exam format..
with over 1200+ questions in total for the old test version. Still good to test your knowledge of factual information! Each quiz is composed of 10-12 multiple choice questions to test your knowledge of the major topics of study in A. P. American History. There are additional fact-recall tests in the form of matching column quizzes. You can also print out the questions in each quiz for your own final review. 44. Do you know your Amendments? ?